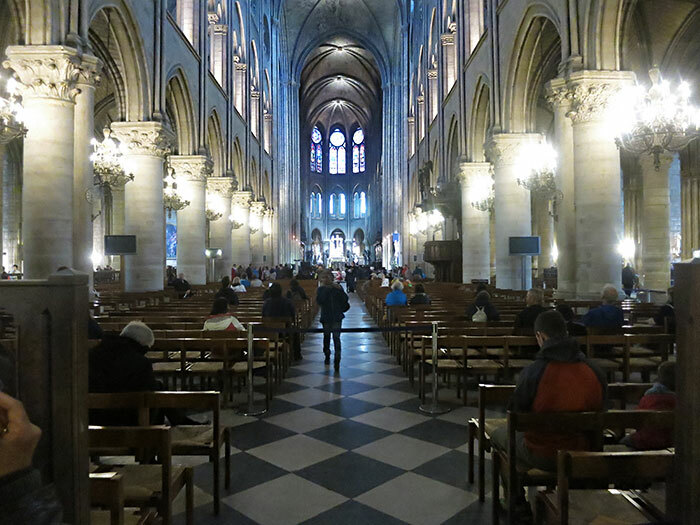 Cathédrale de Notre Dame is an iconic landmark of Paris. This Gothic masterpiece is world-famous for its size, ancient past and fine architecture. It is located on the Ile de la Cité, in the historical centre of Paris. (The Île de la Cité is one of two natural islands on River Seine). It is a short walk from the Palais de Justice and Sainte Chapelle. 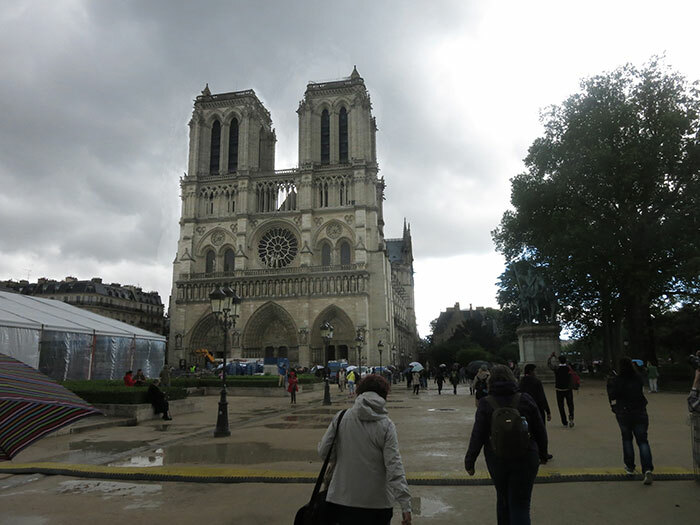 There was a sprinkle of rain when we visited Cathédrale de Notre Dame. We did not have to wait in long queues to enter. Within the cathedral you can see artwork, furniture and other valuable items that originate from Neo-Gothic designs. The stained glass windows are beautiful. Flash photography is prohibited, so I had to stick to wide apertures on my camera lens. 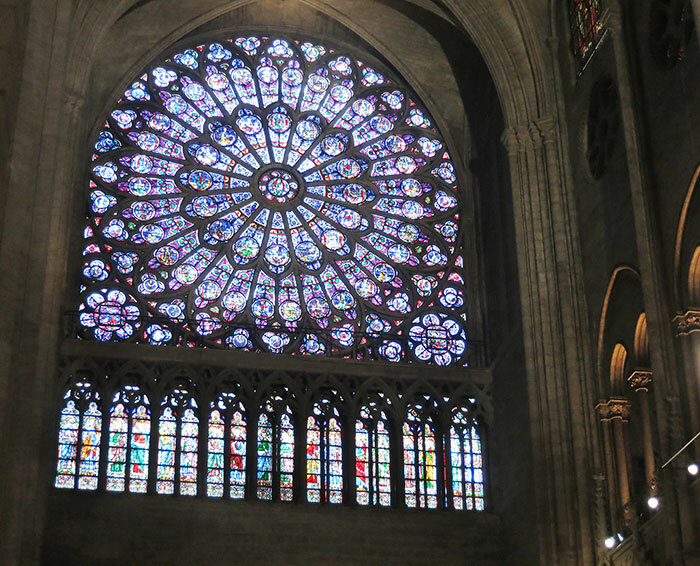 The cathedral is open daily, from 8:00 am to 6:45 pm. There is no entry fee. But you have to pay to go up the Cathedral Tower. We did not climb the tower because we would have had to tackle 387 steps to the top. You have to be physically very fit. 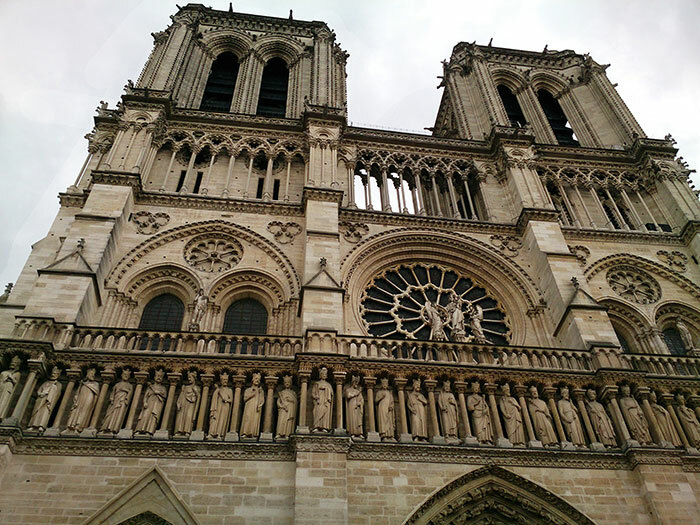 The Notre-Dame tower tour is a trip through upper levels of the western facade which dates back to the thirteenth century. Visitors can take a look at the intriguing gargoyles and there is a chance to see one of the church bells. It is 2.1 km from the cathedral to the famous Orsay Museum. We took a walk along the banks of River Seine on a sunny May day. We managed to reach the museum in about 30 minutes, after asking for directions at some places. Along the way, we could see many bridges spanning the river. Among of them was Pont des Arts, one of Paris’ main bridges. 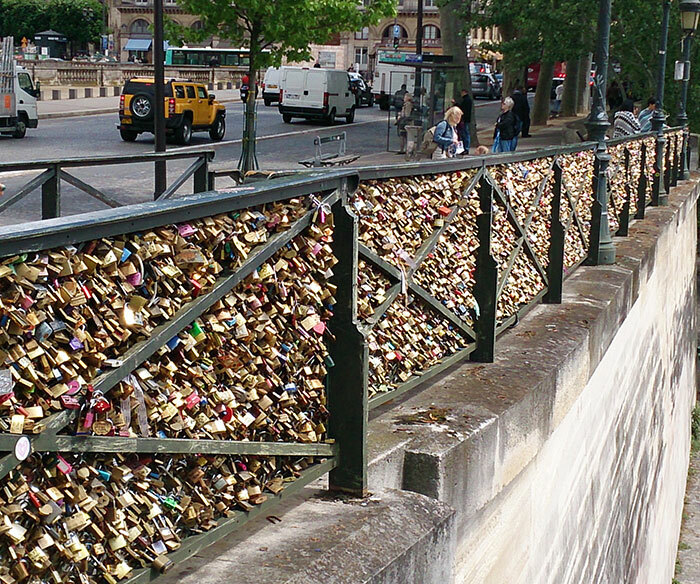 It has thousands of locks symbolically fastened to it by love-struck Parisians. The Hunchback of Notre-Dame, Victor Hugo’s famous novel, was published in 1831. The hunchback in the novel is Quasimodo who was a bell-ringer at the cathedral. 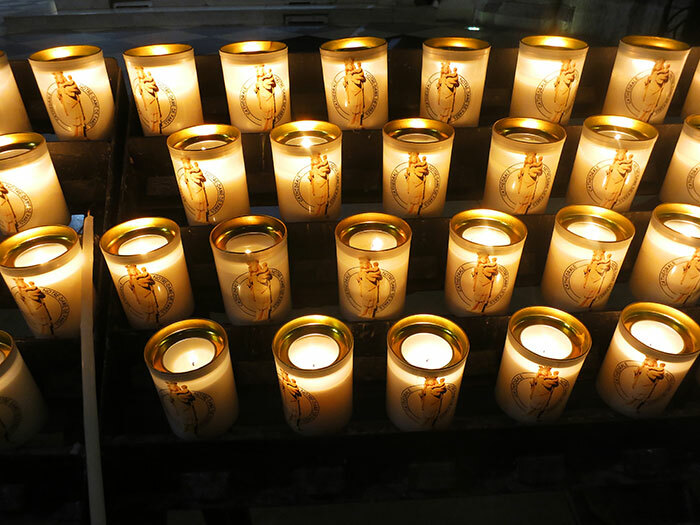 The name Notre Dame means Our Lady in French. There are numerous restaurants and hotels around the cathedral. Incidentally, there are Notre Dame Cathedrals in Strasbourg, Lausanne and Saigon too. Construction of the cathedral began in the twelfth century. Work finally came to an end 200 long years later. Today it is one of the oldest and best known cathedrals in the world. Leave your comments and questions in the comments box. I will get back to you at the earliest.